Find a way to the top of the Monolith. 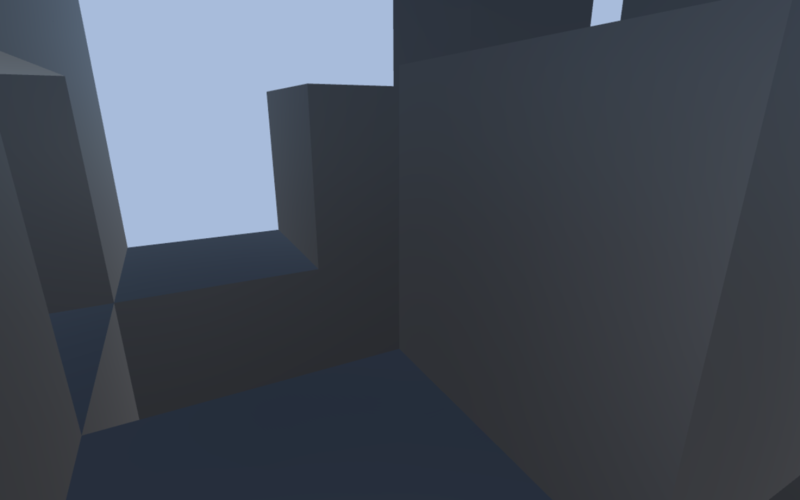 Click on the game to make it track your mouse better. Use WASD to move and press F to toggle flight. Press R to restart and get a new Monolith. 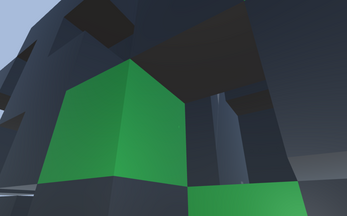 Use the green cubes as hints as to where you can go. 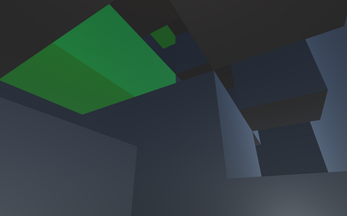 Sometimes the path generation curls in on itself so the green cubes can be a red herring. Sometimes finding a way up will be really difficult. It may look like there is no way forward but there probably is one. If you get stuck you can fly up to the next level and find a way down to see the path you were meant to take up. 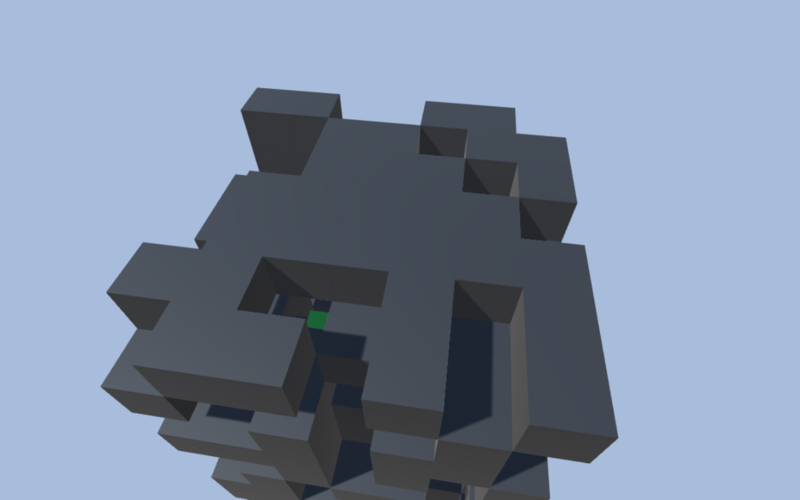 First, I generate cubes randomly within a large box, the probability of cubes spawning decreases the closer it was to the edges of the box. Next, a sphere goes around more or less randomly inside the Monolith. 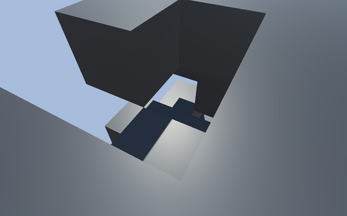 It'll tend to go upwards more than downwards and it'll never form a path that asks the player to jump two blocks high. As it goes, it deletes any blocks in its path and lays down blocks below as needed (those are the green cubes), making sure that it doesn't accidentally block the way up in the process.